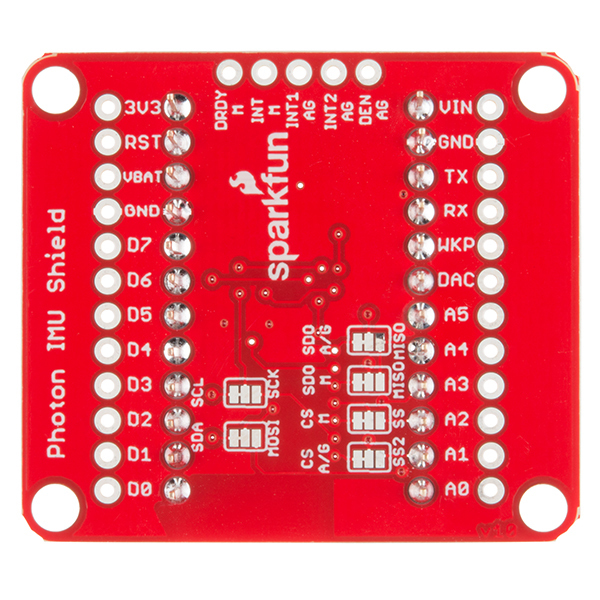 This is the SparkFun Photon IMU Shield, a versatile motion-sensing add-on board for your Photon device. 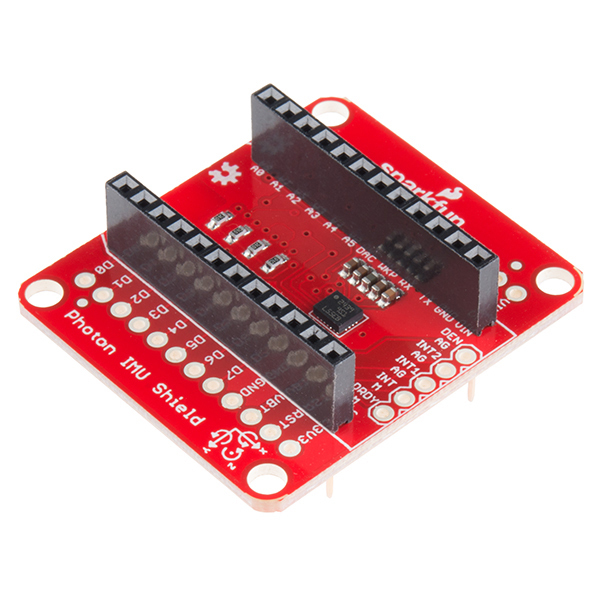 Each IMU shield is equipped with an on-board LSM9DS1 system-in-a-chip that houses a 3-axis accelerometer, 3-axis gyroscope, and 3-axis magnetometer. That's right, 9 degrees of freedom (9DOF) from a single IC! 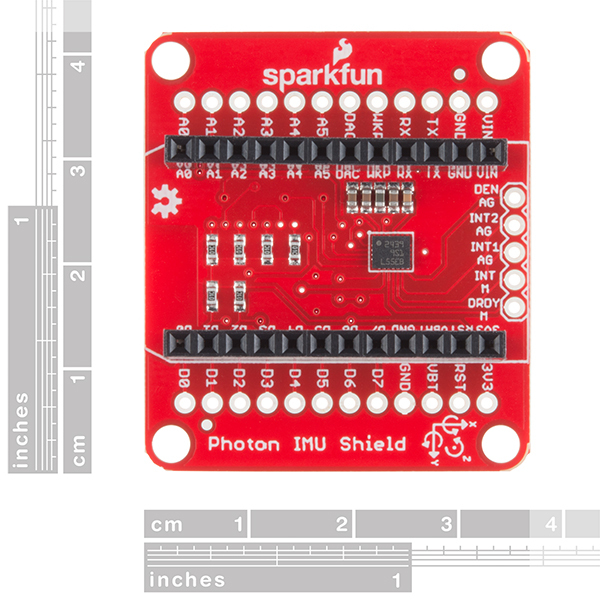 Can I get updates at 1Khz using this IMU board, the photon, and these libraries? Maybe sending data via udp packets with 40 samples (of all 9 axes) a chunk it to make it a reasonable 25 hertz back at a host/logger? Is anyone getting gyro rates of 1-2 degrees / second when the chip is just lying on a table ? I'm wondering whether a calibration is required. 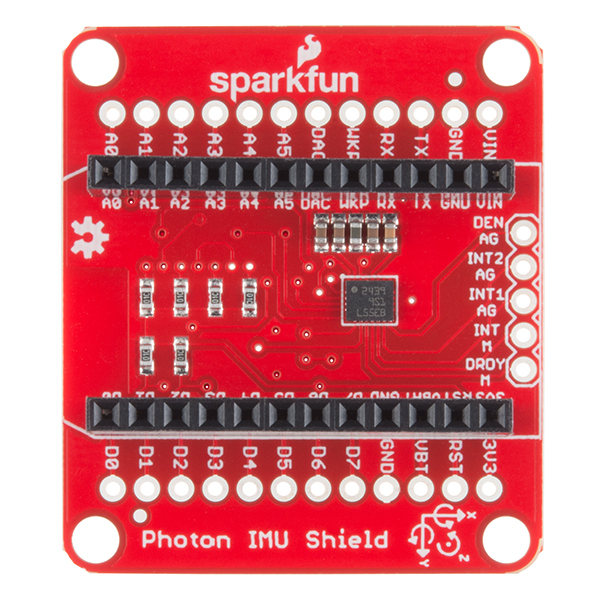 My IMU Shield didn't work and there was little help online on what I could do to diagnose the problem. Trying to get them to ship me a replacement. I have no complaints at all. The device functioned as advertised, and all three that I purchased had no issues. The sample code for I2C comms with the shield was also easy to follow and tweak.